Minecraft is a very popular game and most of the people know it. We also know what everyday a new random game is released and whenever a game gets little popularity, minecraft developers will start developing a mod, creating a map or designing a resource pack for it. 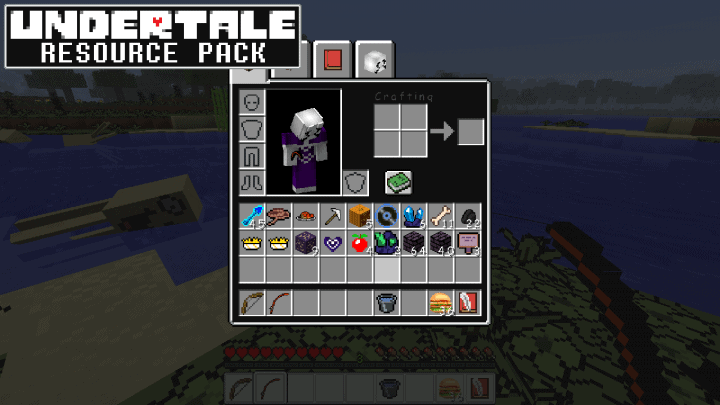 Same thing happened with Undertale Resource Pack. 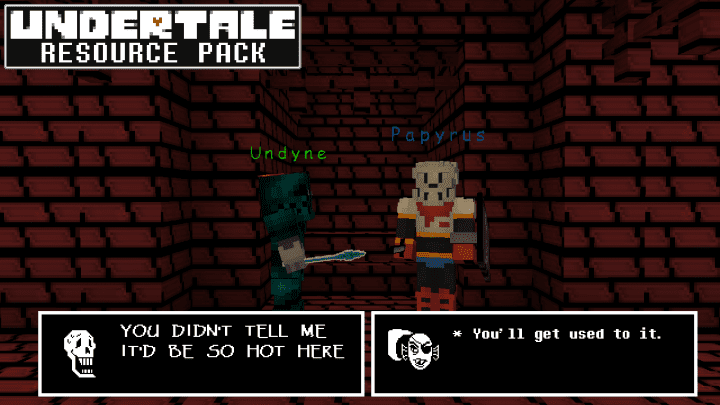 Undertale is a steam game which in a pretty short time became very popular and Kardiamente decided to create a Undertale themed minecraft resource pack, and now you can enjoy two games in one. 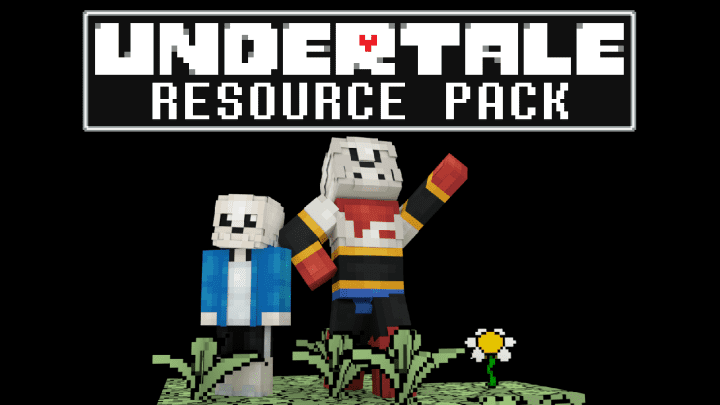 Undertale Resource Pack is awesome set of textures that will greatly enhance the overall gameplay of Minecraft. 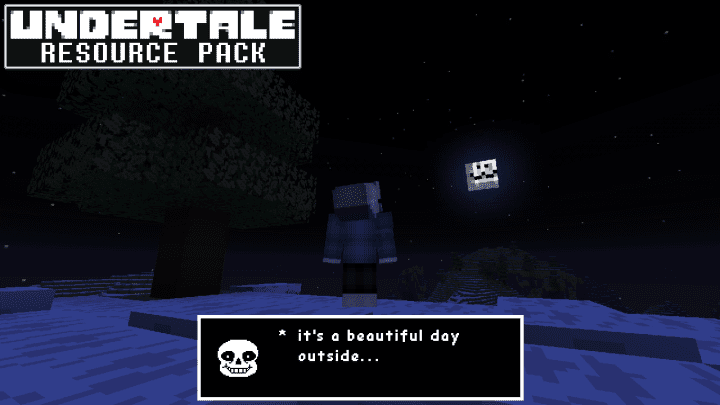 Especially those who have or are playing Undertale steam game will enjoy Undertale Resource Pack for minecraft. 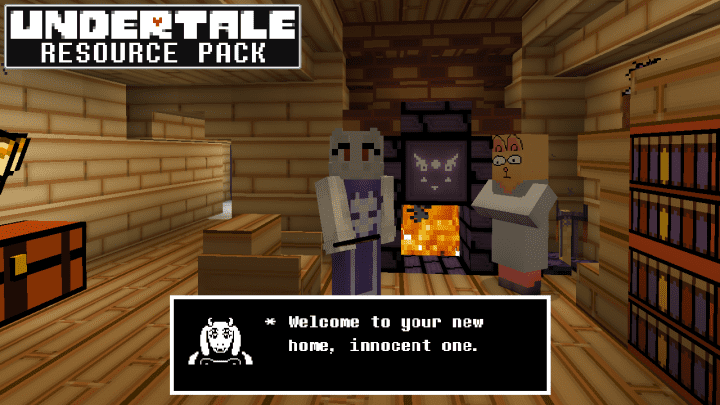 Nothing much to say about this textures but after successful installation of this pack you will immerse yourself into the world of Undertale inside of minecraft. In conclusion, we would like to note that the pack is pretty popular and it is worth a try. *Credit for creating and developing Undertale goes to Kardiamente. 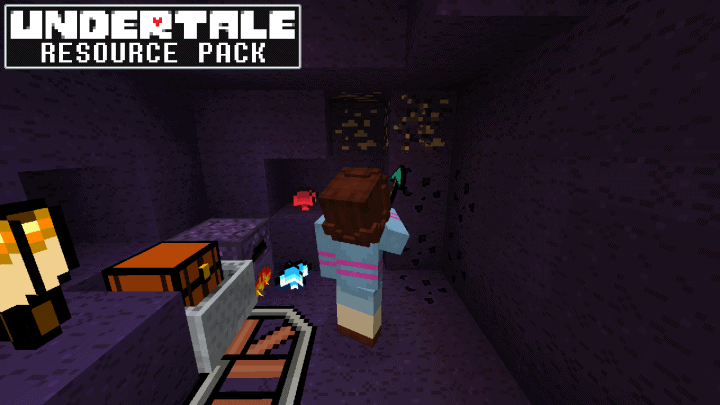 It is designed and compatible with the following minecraft versions: 1.13, 1.12, 1.11. Right now Undertale has 349979 views.